Will you help us fill the Mundgod library with books? When China's military took over Tibet in the early 1950s, many ethnic Tibetans fled on seemingly impossible journeys over the Himalayan mountains. Those who survived found a new life, and relative ideological freedom, in refugee camps in India. Generation after generation of Tibetans have been forced to make this same trek, and one of the largest Tibetan exile settlements they migrated to is Doeguling at Mundgod, Karnataka, in South India. My friend Phuntsok Dorjee is a free-thinking Tibetan tech expert who grew up in this region. He worked to bring wireless internet service to some of these communities, including the town where His Holiness the Dalai Lama and the Tibetan Government in Exile are located. 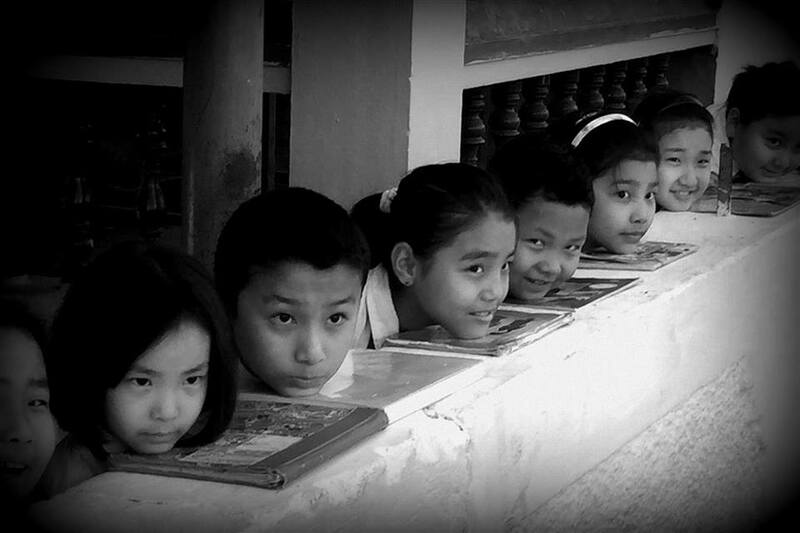 Phuntsok is now part of a team working together to build and fill a public library in the Mundgod Tibetan settlement. They need your help to fill that library with books. The dream: inspire a new generation of young Tibetans who have lost their homeland, but not their cultural identity and the freedom to think independently. Help us get books to the Mundgod library. There's an Amazon wishlist on Amazon India, where you can go to buy pre-selected books for the library. Doeguling Tibetan settlement came into existence in 1966 in Mundgod, in South India under the rehabilitation scheme granted by the Government of India. It is the largest Tibetan Refugee settlement in India. Mundgod Public Library, under the leadership of Kungo Phuntsok Tsering, Settlement Officer is a project with a vision to promote the joy of reading in the community. The Library will be the first of its kind in Tibetan exile diaspora in India and we hope this will have a ripple effect in all the Tibetan settlements in India. With the strong student population & young adults, it is hoped that this Library will become an oasis of knowledge and a hub for young people. With the generous funding from Tibet House Trust UK, the first stage of the project, Construction of the Library building, has started. The fundraising drive for the second stage, Furnishing of the Library has begun. More information about the Mundgod library project and how you can help fill it with books: HelpWithBooks.org. They also welcome subscriptions to magazines and newspapers, and shipments of used books to an address available here. Here's the Mundgod Library Project donation page link on Tibet House, California's website. Tibet House is a 501(c)(3) United States nonprofit authorized to collect donation on the Mundgod Library Project's behalf. A Tibetan language version of the website is here. SpicyIP is arguably the leading blog for experts on India's copyright system, but links to it disappeared from Google's search index following a fraudulent claim of copyright infringement filed by Saregama, India's oldest record label. New rules limiting internet freedom could be imposed by Indian Prime Minister Narendra Modi’s government any time after Thursday night.